NBC Nightly News anchor Brian Williams issued an apology Wednesday evening after erroneously stating in a broadcast last Friday that he was aboard a helicopter that was shot down in Iraq in 2003. Can We Still Trust Brian Williams? While Williams’s apology and the original 2003 video correspond with each other, it turns out that even this narrative is not the true story. Crew members in the actual 159th Aviation Regiment’s Chinook that was hit by RPG fire told Stars and Stripes that the helicopter Williams was traveling in was not part of a formation but instead was traveling one hour behind the helicopter that was hit. To make matters worse, it turns out that this is not the first time Williams recounted a version of events which includes him being in the helicopter that was hit. 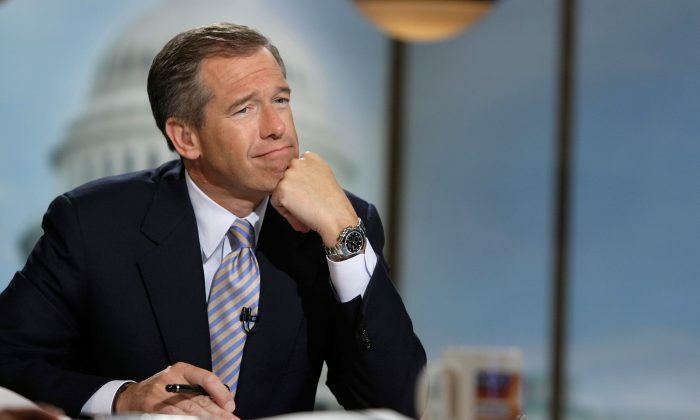 Is Brian Williams’ Iraq ‘Lie’ a Death Sentence for NBC Nightly News? Williams then continued to describe how the crew reacted after being hit, while never having been on the helicopter in question. Watch the video of Williams and Letterman in 2013 below, with the relevant part beginning at 3:50. NBC’s Brian Williams said that he made a “mistake” when he lied about being on a helicopter in Iraq during the 2003 invasion.